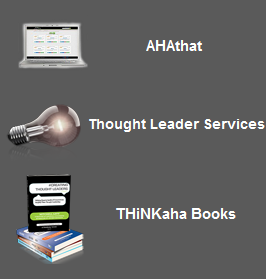 #JOBSEARCHtweet Book01 | THiNKaha: Become a recognized expert in your field of expertise. 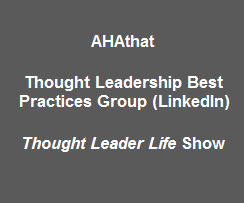 Compelling thought leadership content. 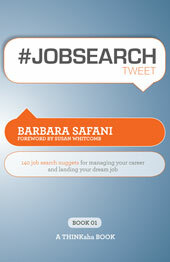 #JOBSEARCHtweet Book01: 140 job search nuggets for managing your career and landing your dream job. Geared towards job seekers and people interested in managing their career, ‘#JOBSEARCHtweet Book01’ provides expert advice for a successful job search. Barbara Safani, owner of Career Solvers, shares her expertise culled from over fifteen years experience in career management for both Fortune 100 companies as well as with individuals. In this essential addition to the job search bookshelf, you will gain insights on how to build a strong resume and cover letter, engage employers, work with recruiters, leverage online and offline networks to source key decision makers, interview authentically, confidently, and with ease, and negotiate a robust compensation package. 140 job search nuggets for managing your career and landing your dream job. Do you want to know in a nutshell what it takes to market yourself in a competitive job market and get more of what you want? ‘#JOBSEARCHtweet Book01‘ gives you 140 digestible sound bites for doing just that. In just 100 pages you will gain compelling insights on how to build a strong resume and cover letter, engage employers with a value-added thank you letter, work with recruiters, leverage your network both online and offline to source key decision makers, interview authentically, confidently, and with ease, and negotiate a robust compensation package. Resume writing, cover letter, and thank you letter tips that can be implemented immediately. Traditional and online networking strategies that can build efficiencies into your search and get you noticed by decision makers. Interview tips that position you as an authentic, value-driven candidate. Pointers for negotiating for what you want and deserve. General job search insights to keep you motivated and moving forward. A not-to-be missed addition to the bookshelves of active job seekers as well as people interested in managing their career, ‘#JOBSEARCHtweet Book01‘ will give readers everything they need to be one step ahead of the competition through proven strategies for success. ‘#JOBSEARCHtweet Book01‘ is part of the THiNKaha series whose 100-page books contain 140 well-thought-out quotes (tweets/ahas). #1 If you spend half your time on your job search, it will probably take you twice as long to find a job. #25 Minimize descriptions of job tasks and maximize descriptions of accomplishments. Sell it, don’t tell it. #50 Recruiters don’t work for you; their loyalty is to the company asking them to fi ll the job. #100 If interviewing with several people at the same time, give everyone equal attention; you never know who the real decision maker is. #130 When negotiating, don’t be the first one to name a salary; if you request less than they were planning to off er, they won’t offer you more. Barbara Safani is the owner of Career Solvers, which partners with Fortune 100 companies and individuals to deliver programs focusing on resume development, job search strategies, networking, interviewing, salary negotiation skills, and online identity management. Barbara has appeared on CNN, ABC, and FOX. Her career advice has been published in The New York Times, The Wall Street Journal, The Washington Post, The San Francisco Chronicle, Fortune Magazine, Monster, Yahoo HotJobs, and CNN. A triple-certified resume writer, Barbara is the author of ‘Happy About My Resume’. For more information, see herCareer Solvers Blog.